Chapter 2. Natural and Synthetic Chalcones: Tools for the Study of Targets of Action—Insulin Secretagogue or Insulin Mimetic? Natural products present in the plant and animal kingdom offer a huge diversity of chemical structures, which are the result of biosynthetic processes that have been modulated over the millennia through genetic effects. With the rapid developments in spectroscopic techniques and accompanying advances in high-throughput screening techniques, it has become possible to isolate and then determine the structures and biological activity of natural products rapidly, thus opening up to the pharmaceutical industry exciting opportunities in the field of new drug development. The series covers all of the above as well as the synthesis, testing and recording of the medicinal properties of natural products. Atta-ur-Rahman, FRS, D.Phil., TI, SI HI, NI, is a leading scientist and scholar in the field of organic chemistry from Pakistan, especially renowned for his research in the various areas relating to natural product chemistry. With over 909 publications in the field of his expertise including 116 books largely published by leading publishers in Europe and USA and 27 patents, he is also credited for reviving the higher education and research practices in Pakistan. Prof. Rahman was elected as Fellow of Royal Society (London) in July 2006 thereby becoming one of the 4 scientists from the Muslim world to have ever won this honor in the last 350 years when the Royal Society was established. He is also the only scientist from the Muslim world to have been conferred the UNESCO Science Prize in 1999. He has been conferred honorary doctorate degrees by many universities including the degree of Doctor of Science (Sc.D.) by Cambridge University (UK) (1987) and an Honorary degree of Doctor of Education by Coventry University UK in November 2007. He was elected Honorary Life Fellow of Kings College, Cambridge University, UK in 2007. Prof. Atta-ur-Rahman was conferred the TWAS Prize for Institution Building in Durban, South Africa in October 2009 in recognition of his contributions for bringing about revolutionary changes in the higher education sector in Pakistan. He was awarded the Engro Excellence Award in Science & Technology 2011 for meritorious contributions. He is President of Network of Academies of Sciences of Islamic Countries (NASIC) and the Vice-President (Central & South Asia) of the Academy of Sciences for the Developing World (TWAS) Council, and Foreign Fellow of Korean Academy of Sciences. Prof. Atta-ur-Rahman was the President of the Pakistan Academy of Sciences (2003–06), and was again elected President of Pakistan Academy of Sciences in January 2011. He was the Federal Minister for Science and Technology (14 March 2000 – 20 November 2002), Federal Minister of Education (2002) and Chairman of the Higher Education Commission with the status of a Federal Minister from 2002-2008. The Austrian government also honoured him with its highest civil award ("Das Große Goldene Ehrenzeichen am Bande", 2007) in recognition of his eminent contributions. Prof. Atta-ur-Rahman was the Coordinator General of COMSTECH, an OIC Ministerial Committee comprising the 57 Ministers of Science & Technology from 57 OIC member countries during 1996-2012. He is also the Patron of International Centre of Chemical and Biological Sciences (which comprises a number of institutes, including the Hussain Ebrahim Jamal Research Institute of Chemistry and the Dr. Panjwani Center of Molecular Medicine and Drug Development) at Karachi University. He established a research center on Genomics in Karachi University. In recognition of the eminent contributions of Prof. Atta-ur-Rahman, a number of institutions have been named after him within and outside Pakistan. 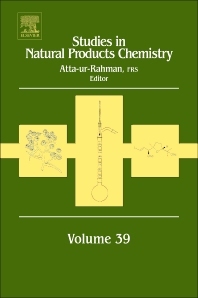 These include a natural product chemistry institute (Atta-ur-Rahman Research Institute of Natural Product Discovery, RiND) at the University of Technology Mara in Malaysia, Atta-ur-Rahman School of Applied Biosciences at National University of Science & Technology in Islamabad, and Dr. Atta-ur-Rahman Building at the International Centre for Chemical and Biological Sciences, University of Karachi. The Academy of Sciences in the Developing World (TWAS) based in Trieste, Italy has introduced a Dr. Atta-ur-Rahman Prize in Chemistry to a scientist from the developing world each year. The Prize carries a cash award of $ 5,000 and a Certificate.